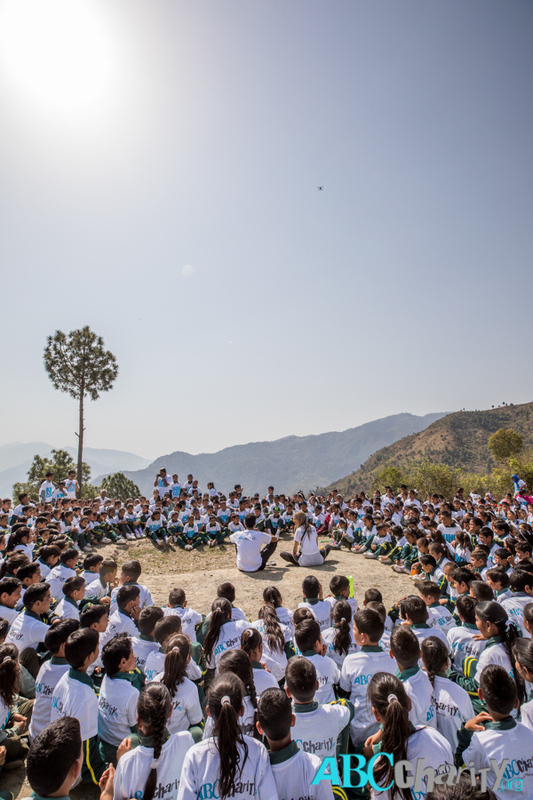 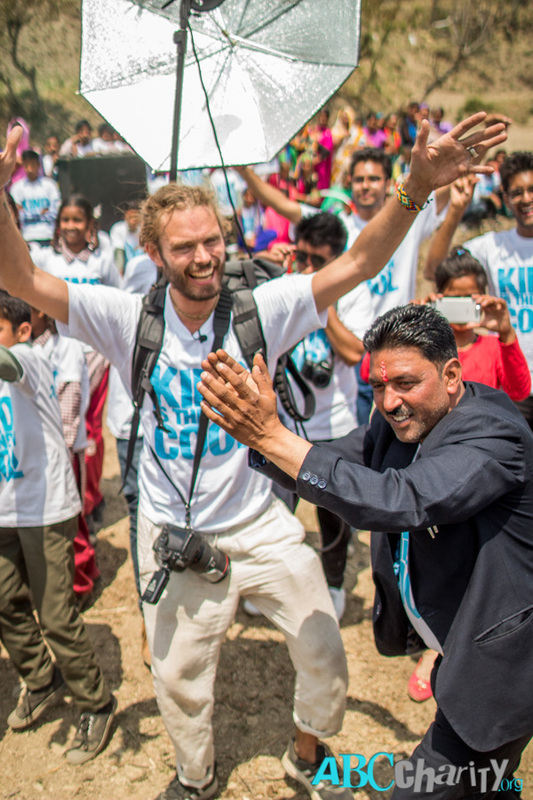 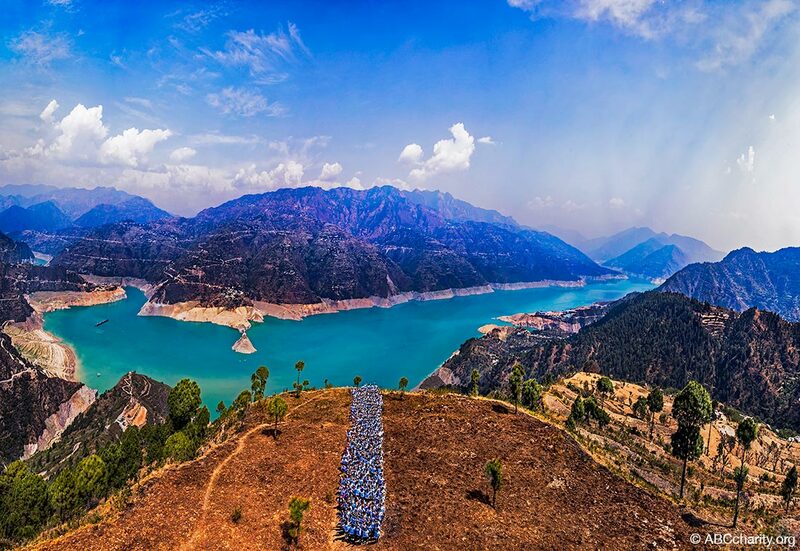 “I” in India with 432 children in Uttarakhand. 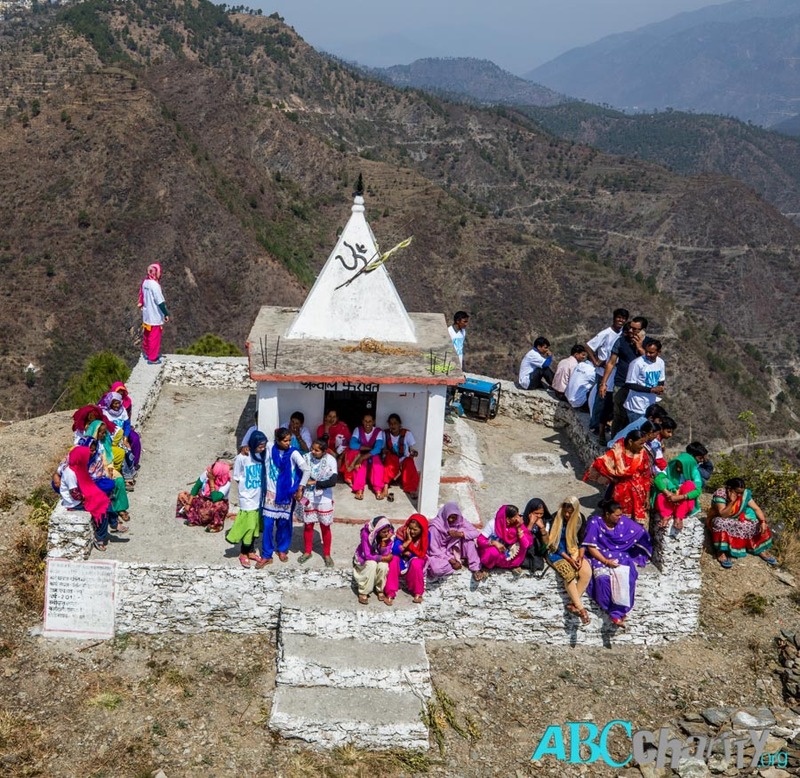 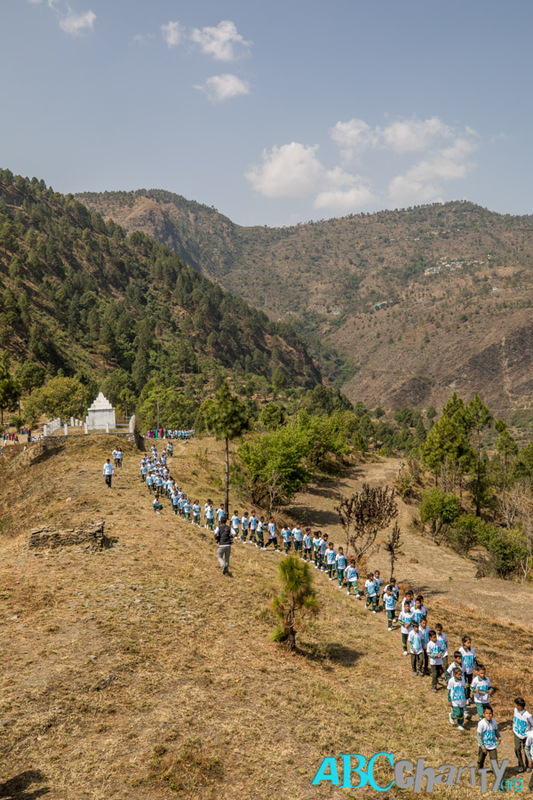 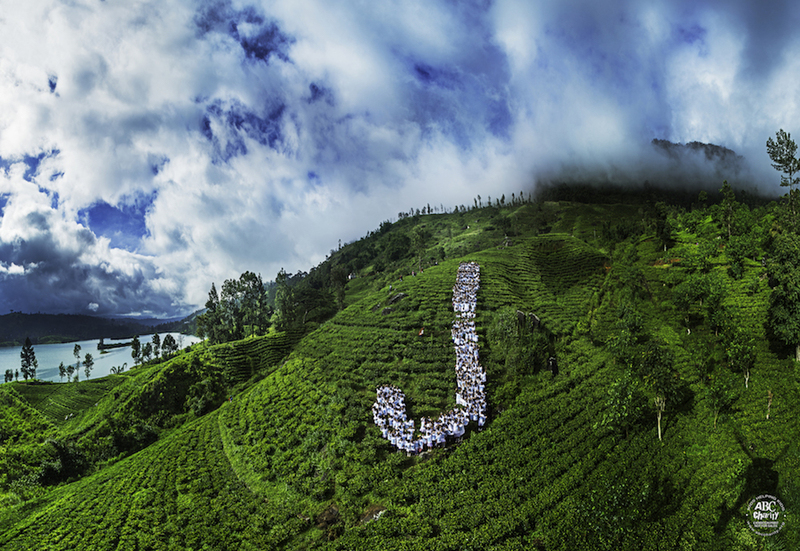 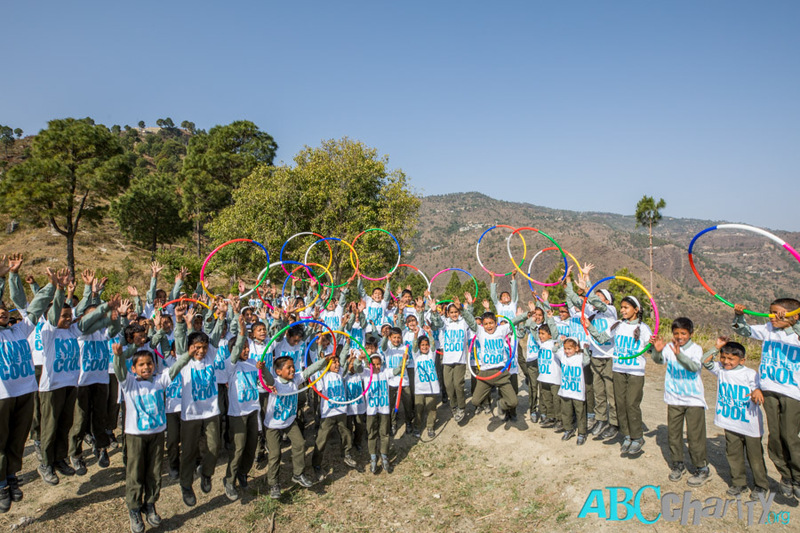 The letter “I” in India was created on April 6th 2018 by 432 children from Uttarakhand’s local schools in Tehri, Jundasoo, and Chamba. 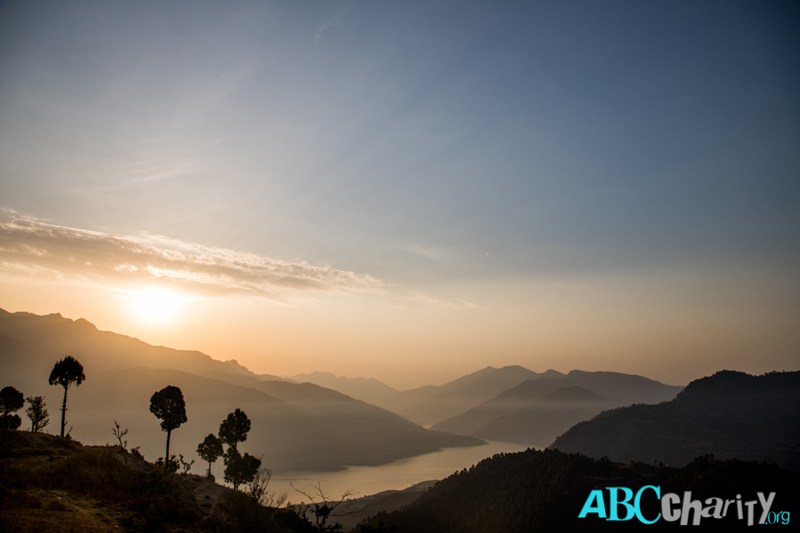 The production took place at the base of the Himalayas along one of the holiest rivers in the world, Maa (Mother) Ganga. 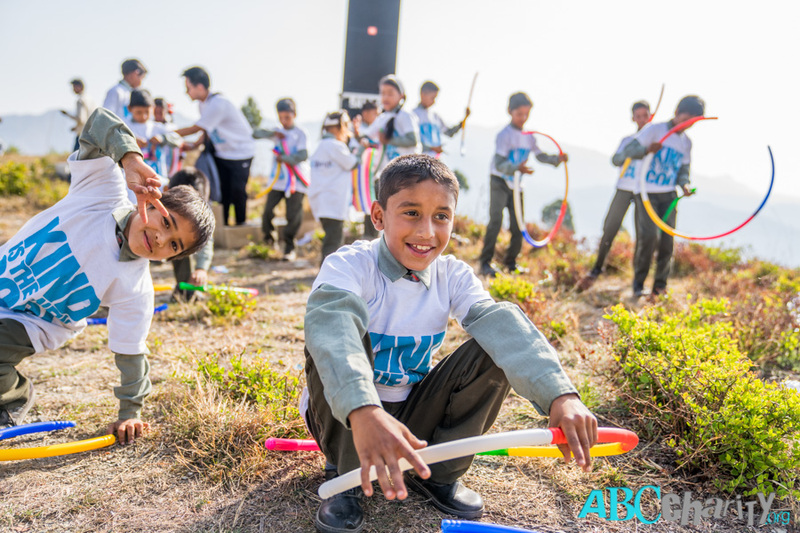 The community said that no program like this had ever come to the region. 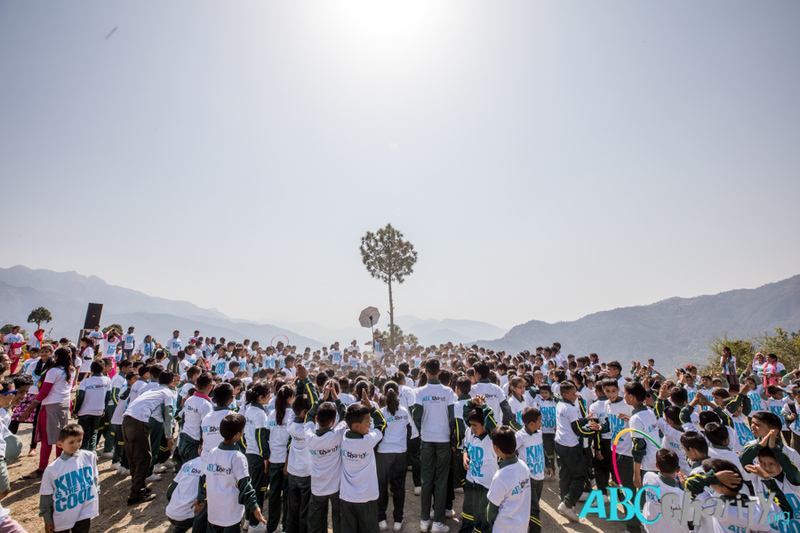 On the day of production the small, quiet Himalayan-set town of Jundasoo experienced an event like no one had ever seen before. 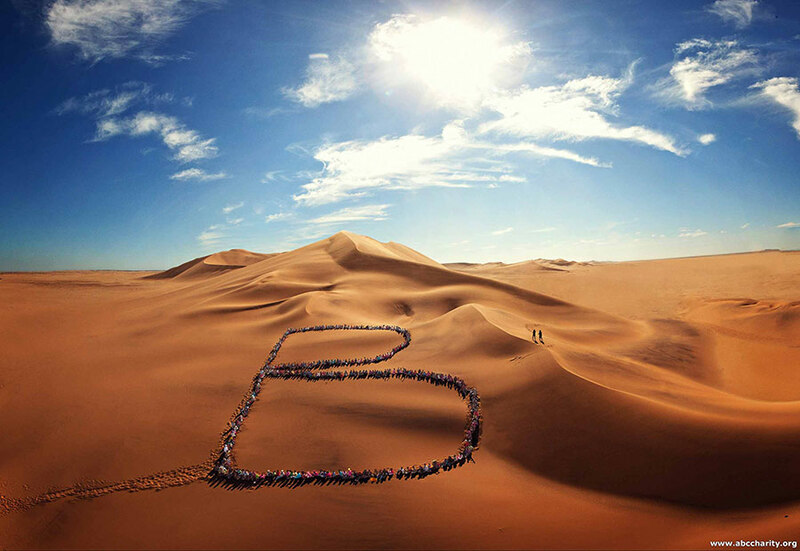 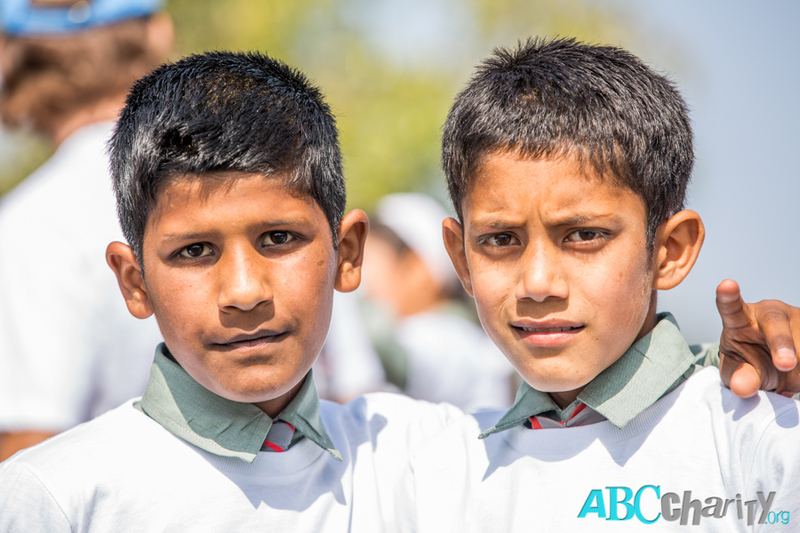 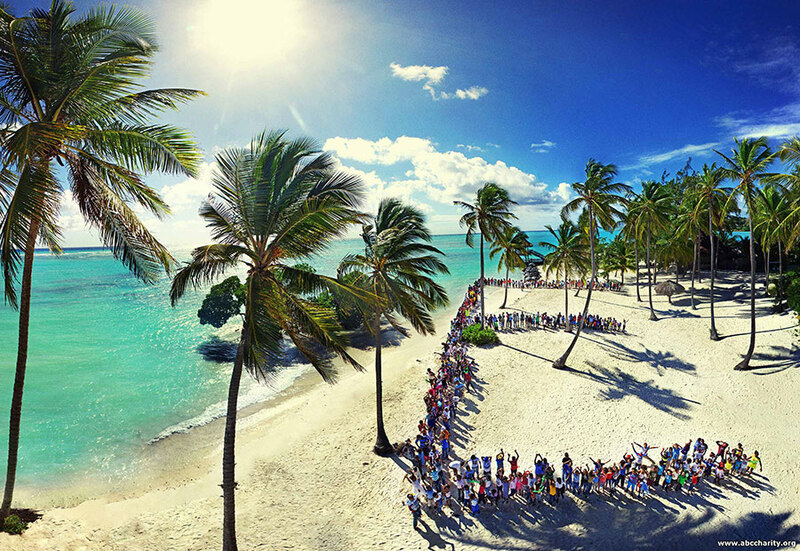 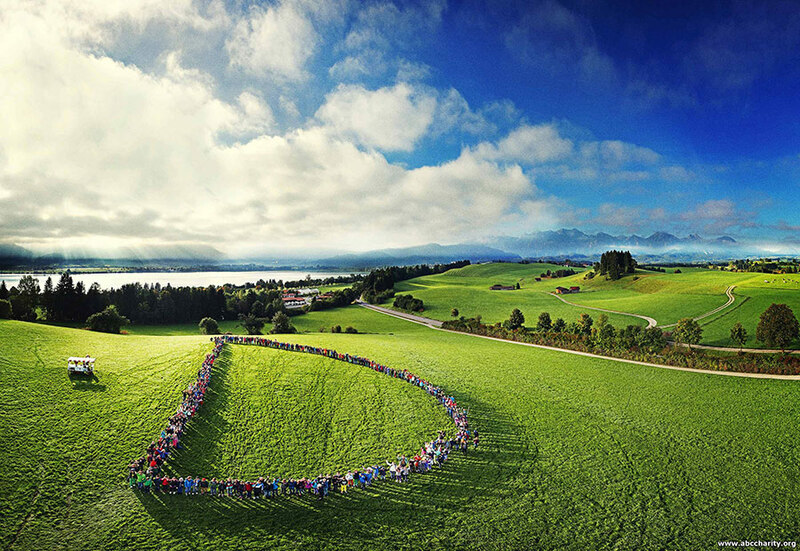 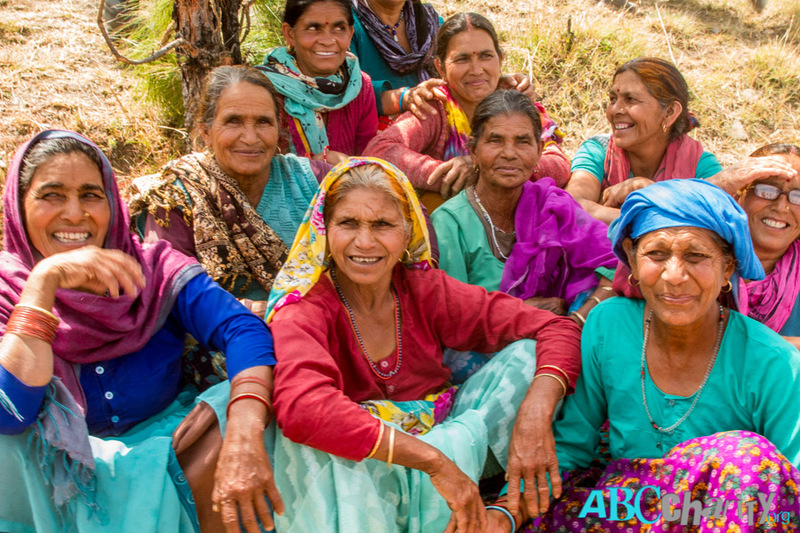 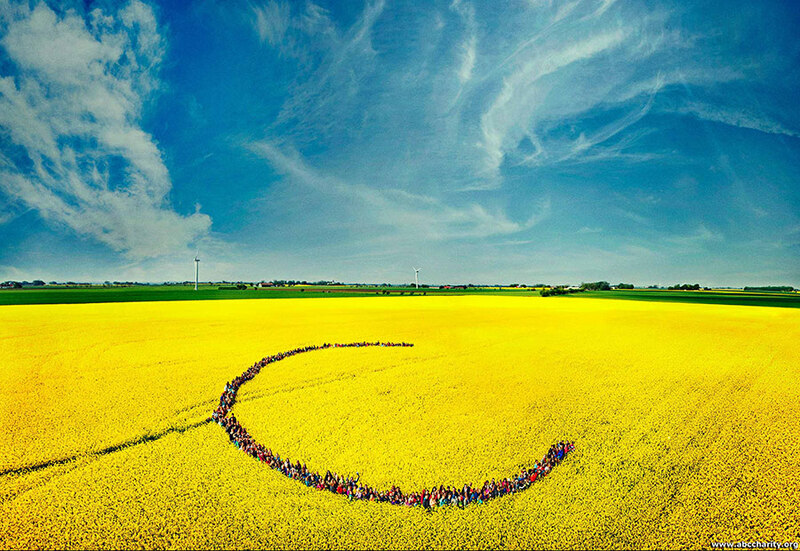 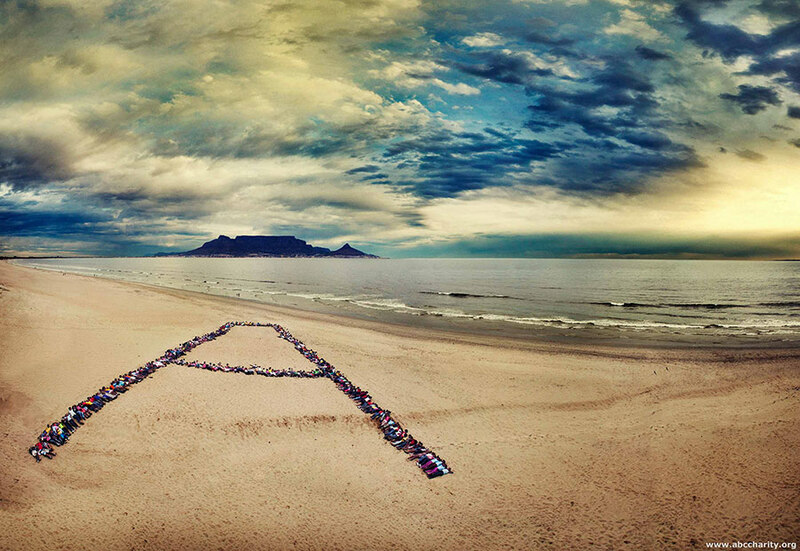 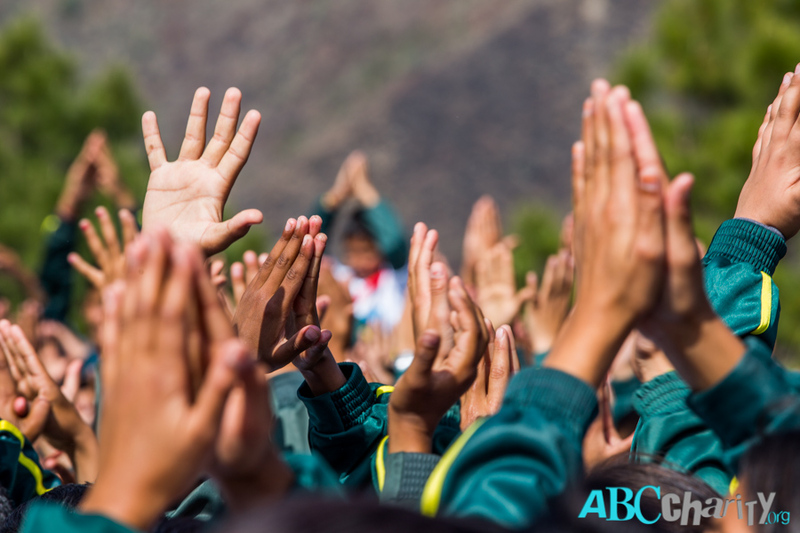 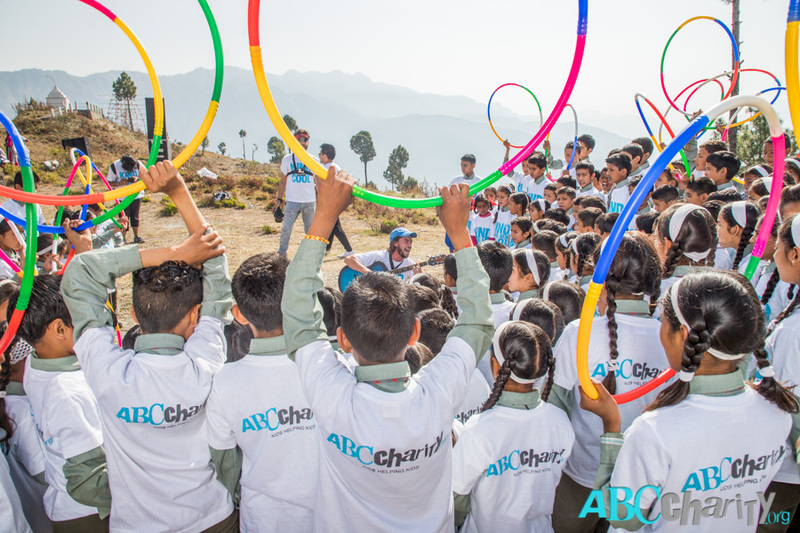 The ABC Charity team literally worked through the night preparing the production of the letter “I” which would leave the kids a memory that would last them a lifetime. 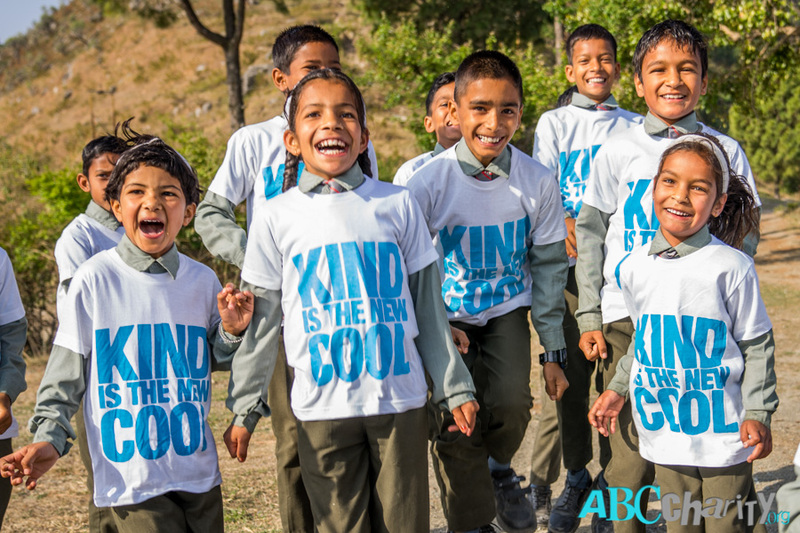 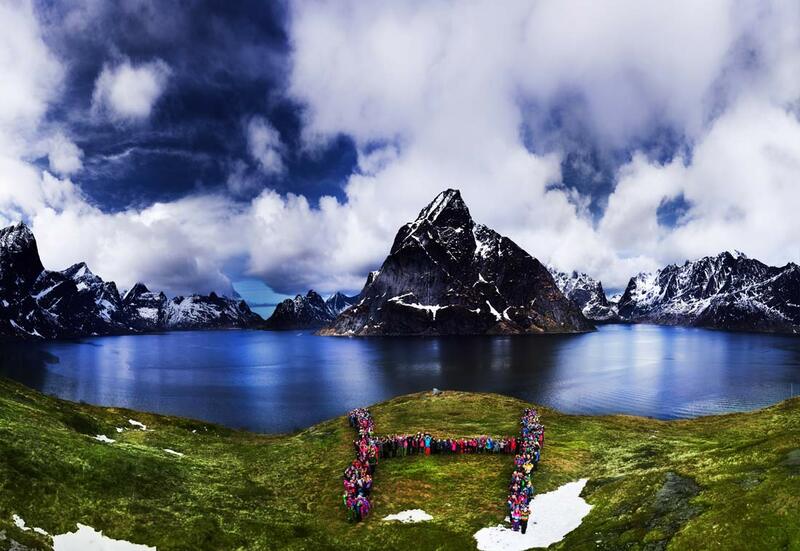 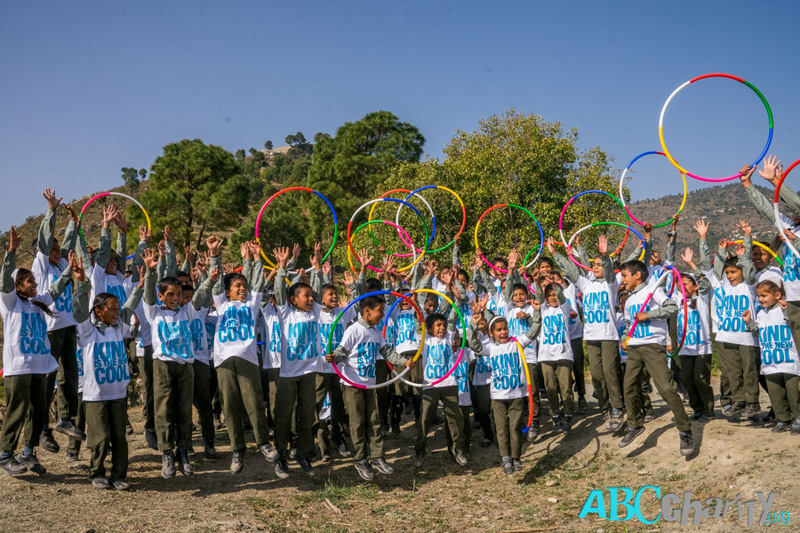 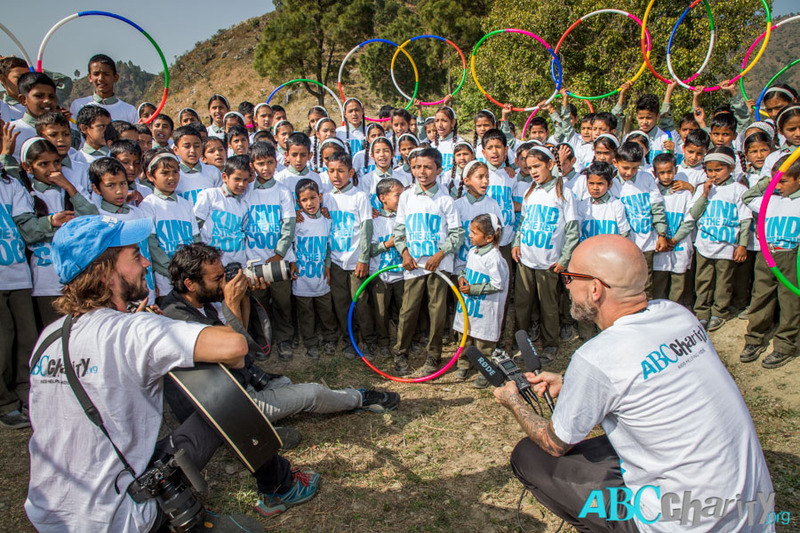 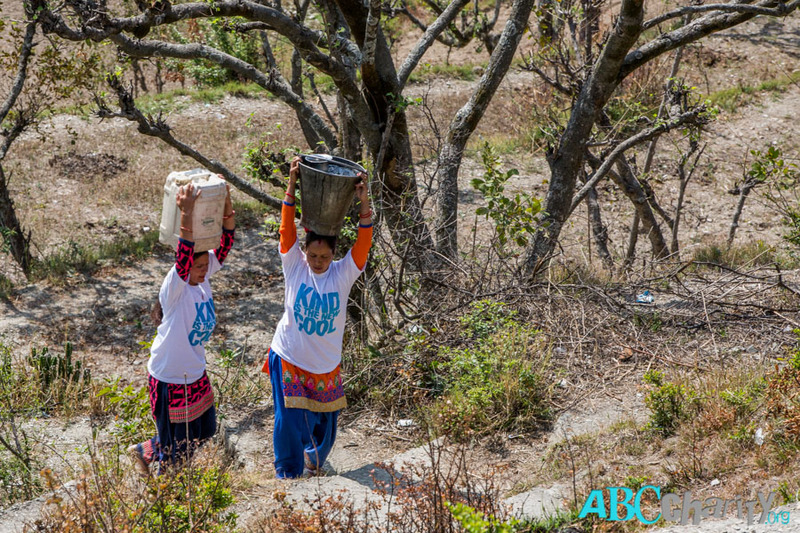 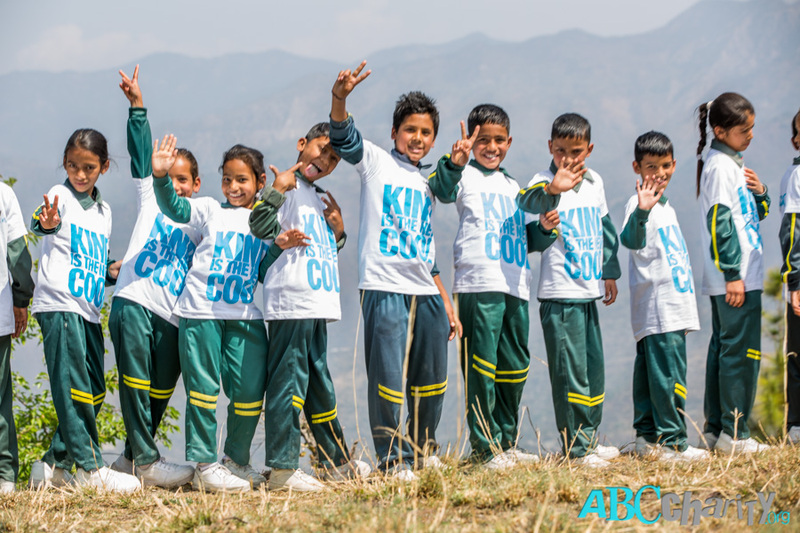 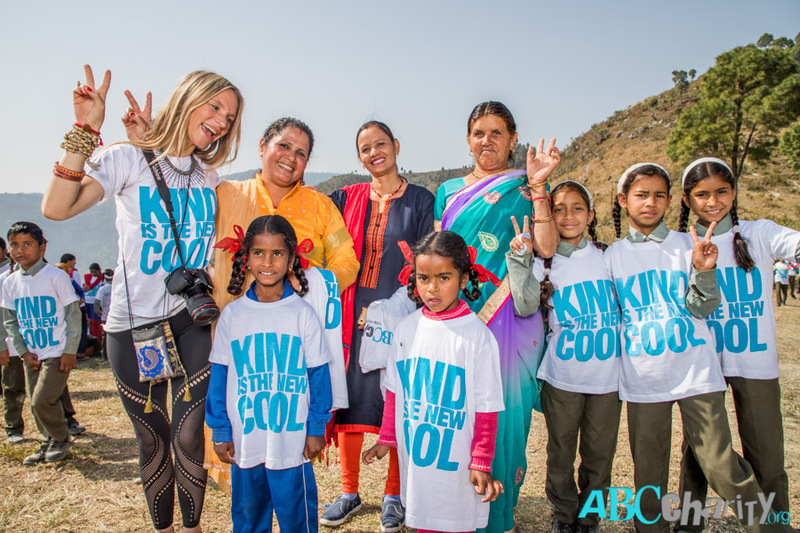 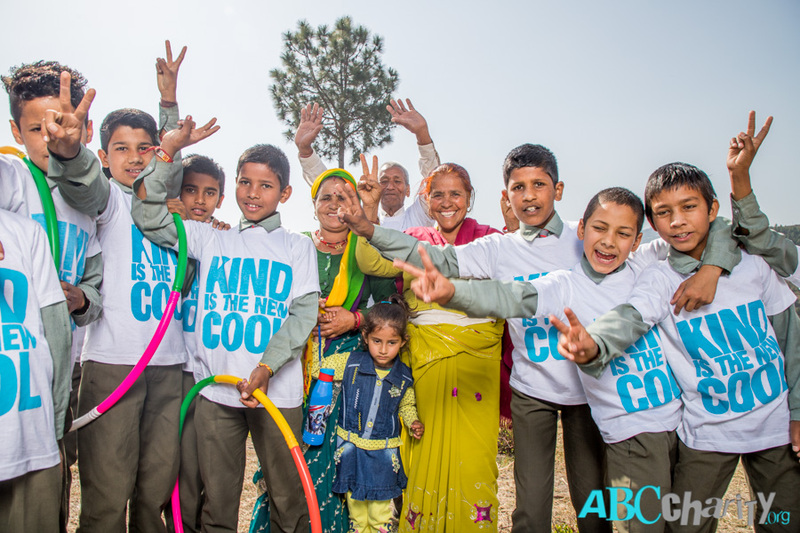 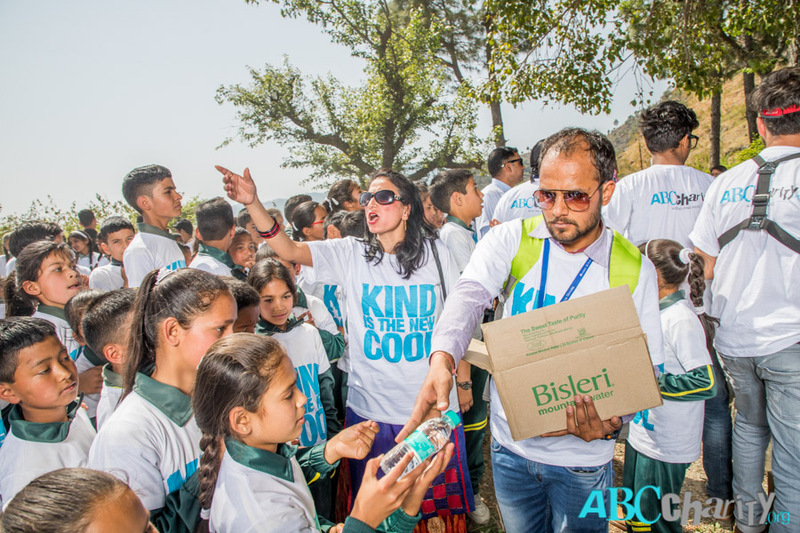 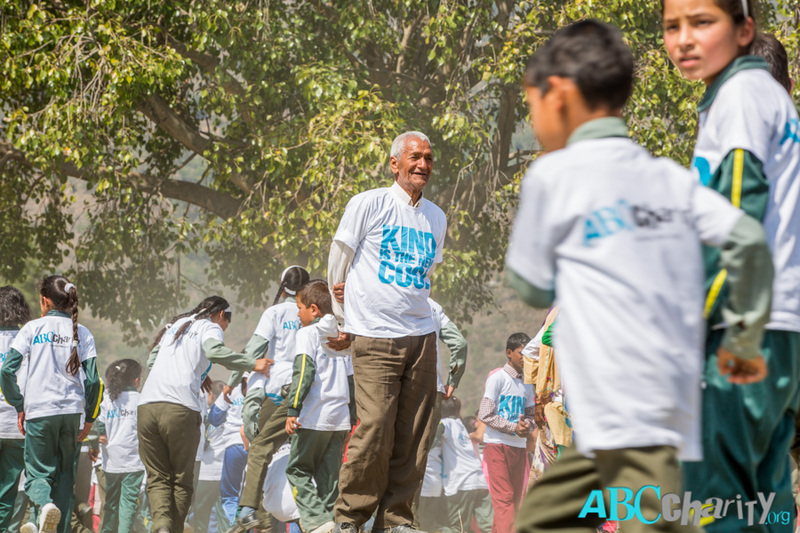 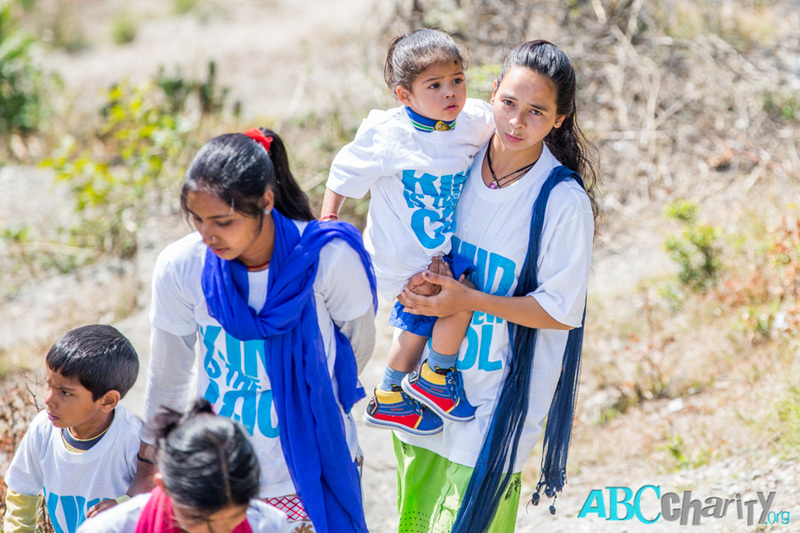 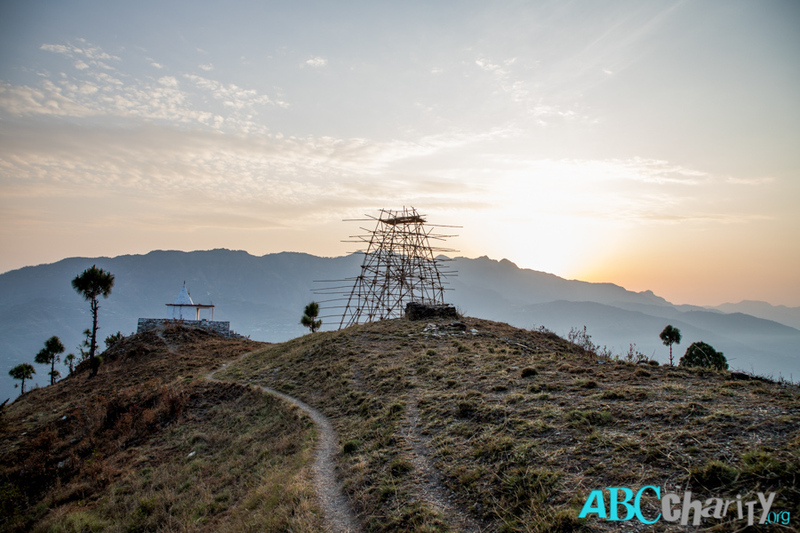 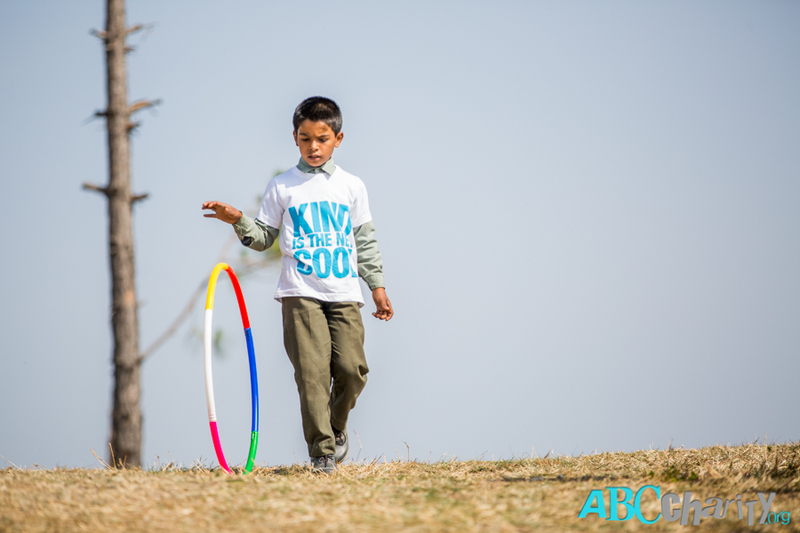 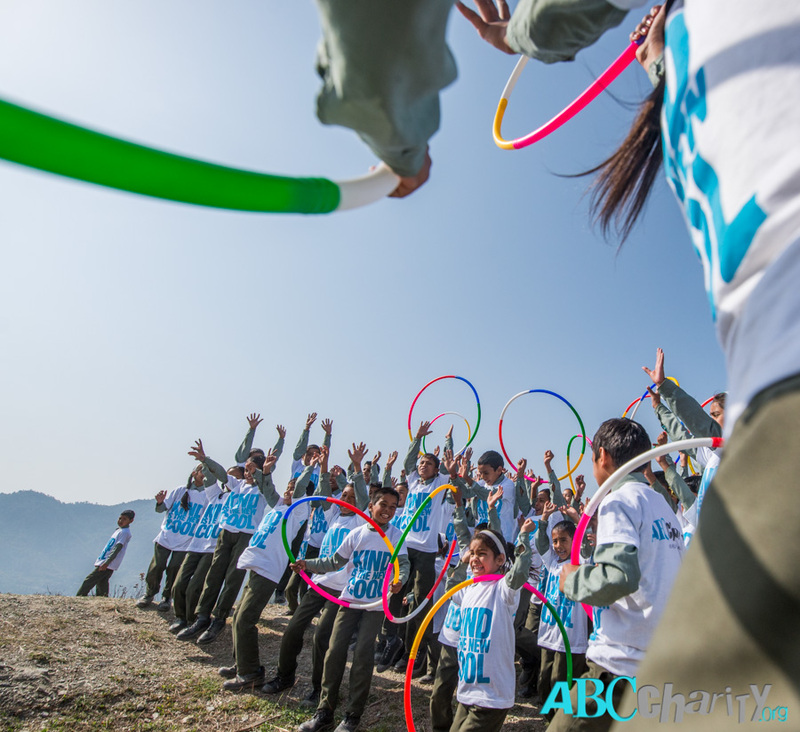 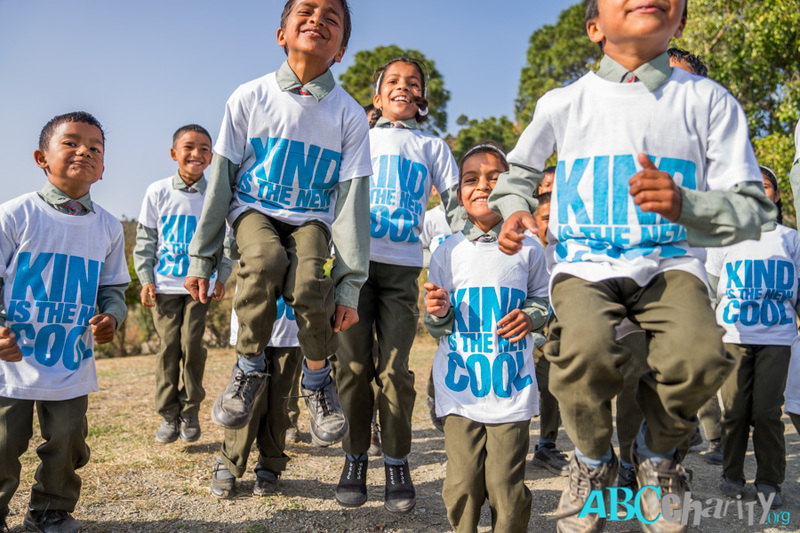 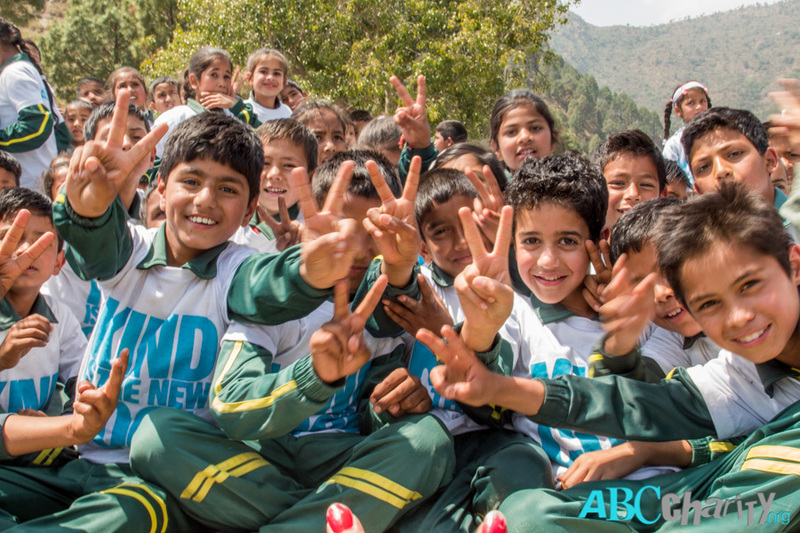 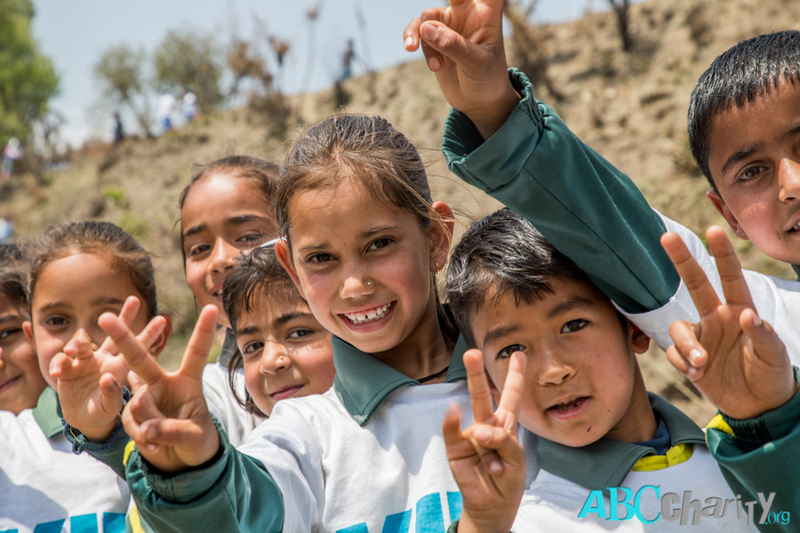 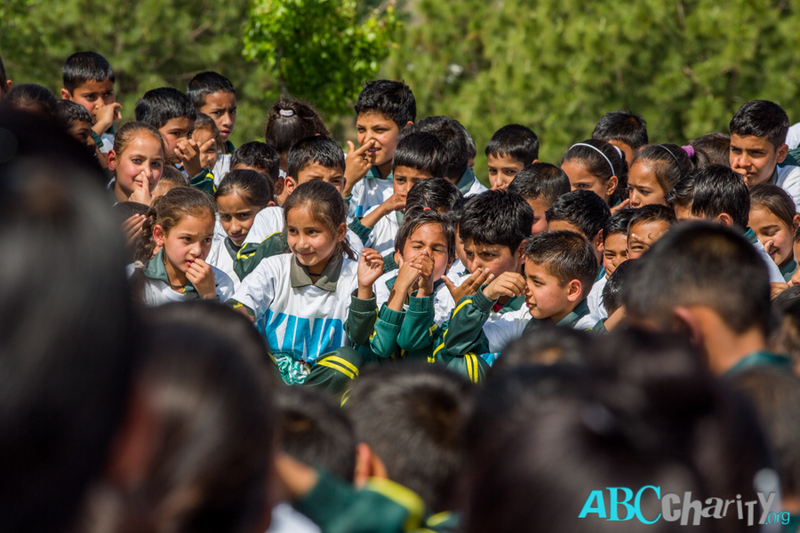 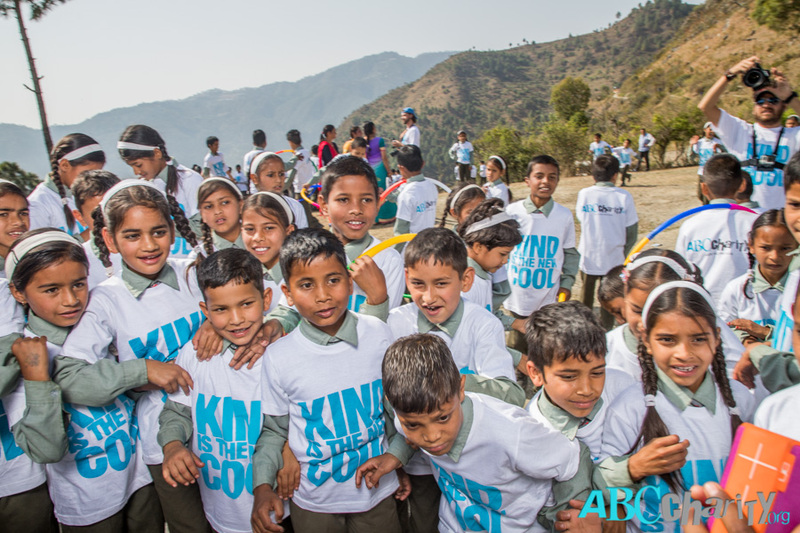 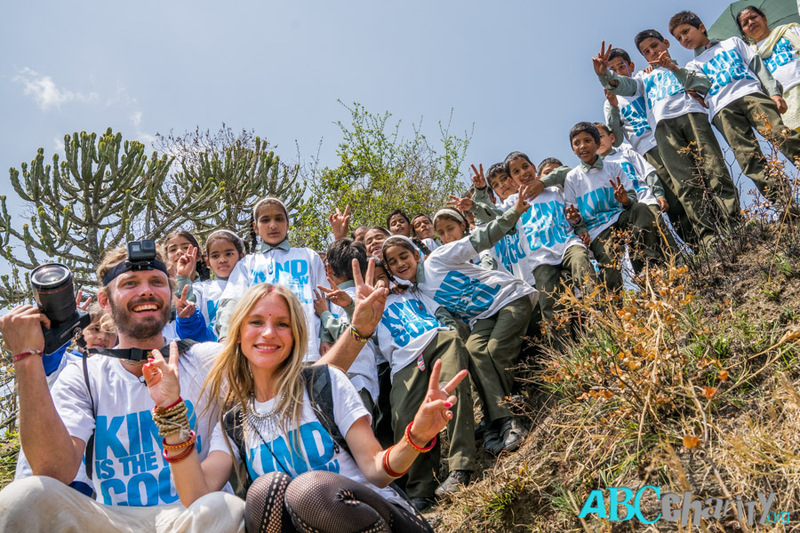 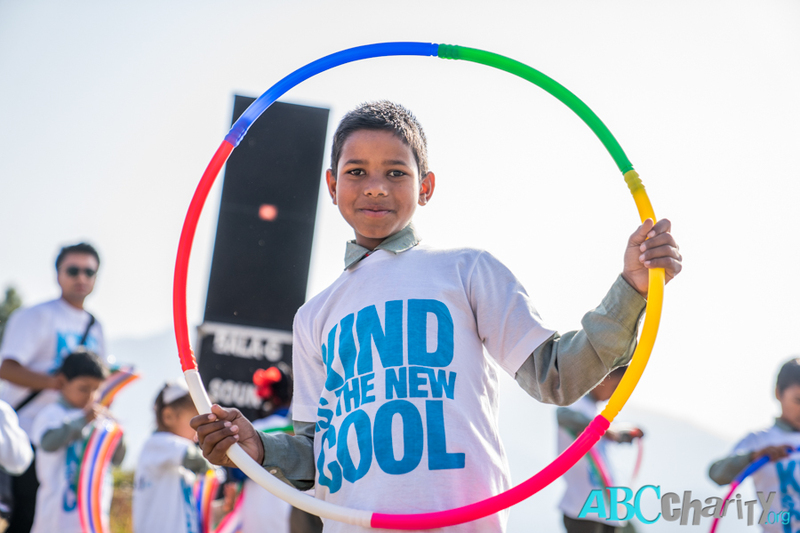 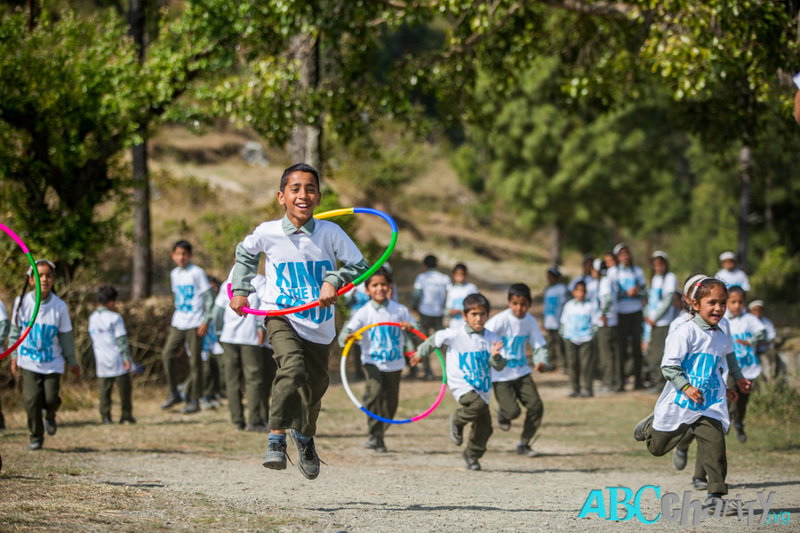 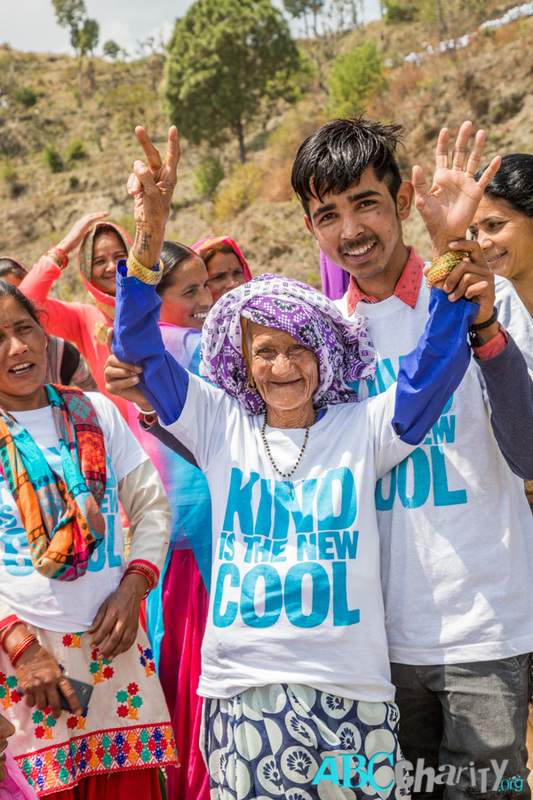 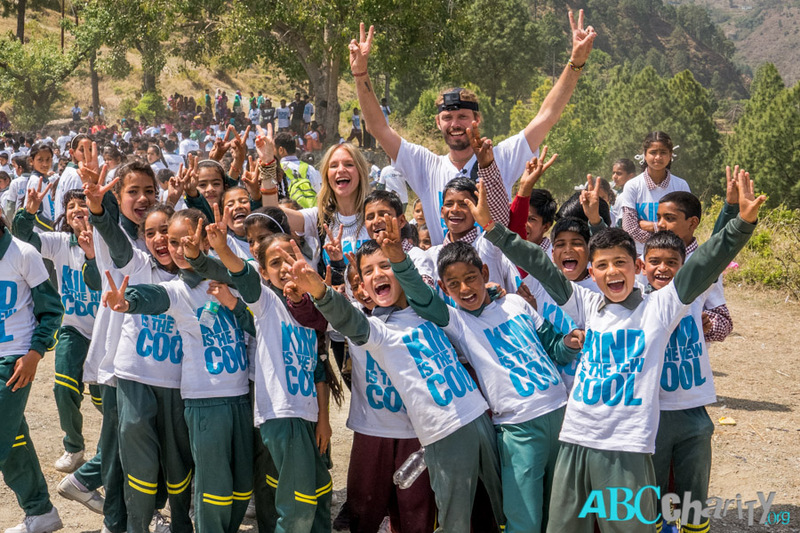 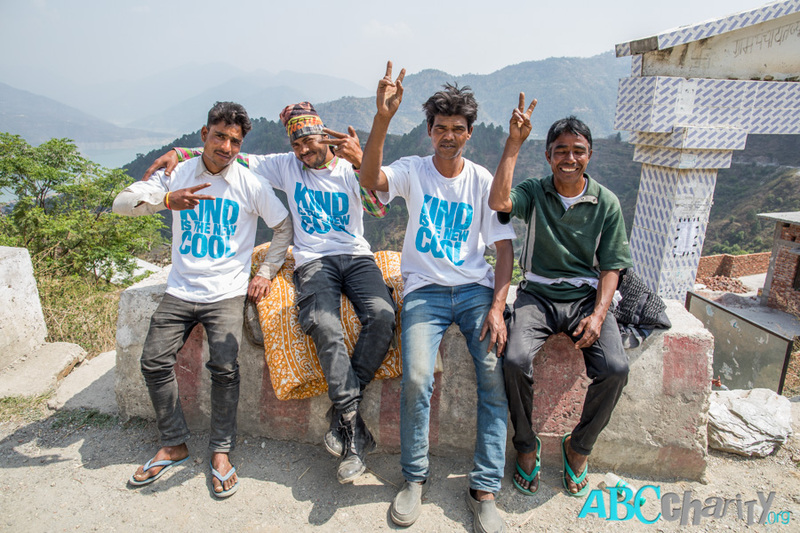 As they arrived by bus and parading through the mountains, they reached the hill-top area where they received an ABC Charity shirt which was branded with the slogan “KIND IS THE NEW COOL”. 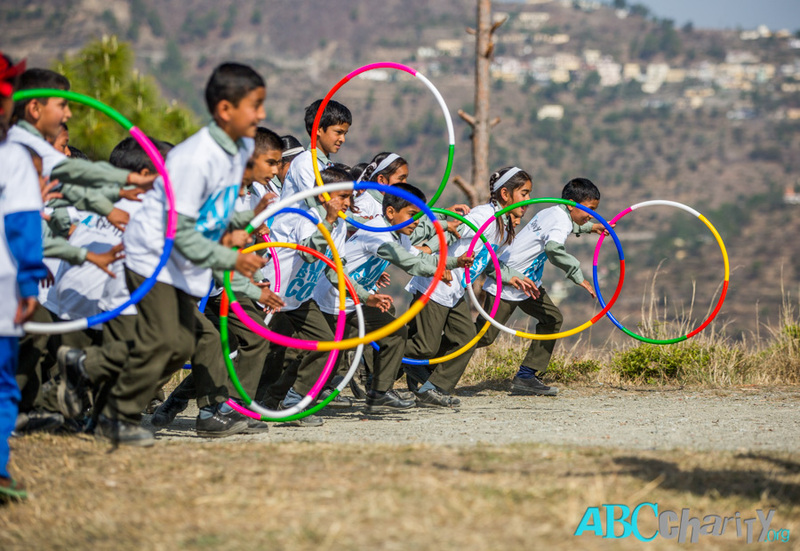 They ran, they jumped, they swung in hula hoops, and danced to the tunes of Swedish producer Thomas Huttenlocher. 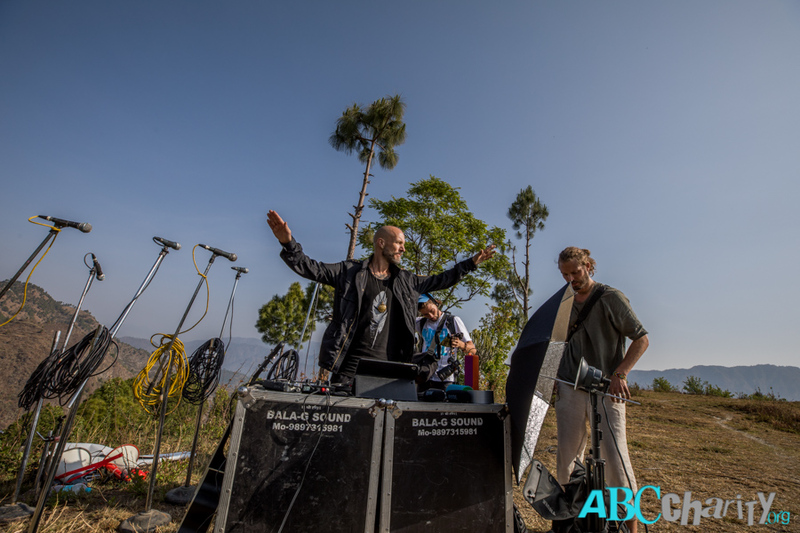 Unfortunately, our music system overheated but luckily we kept the party going with the couple of UE Booms we had on hand! 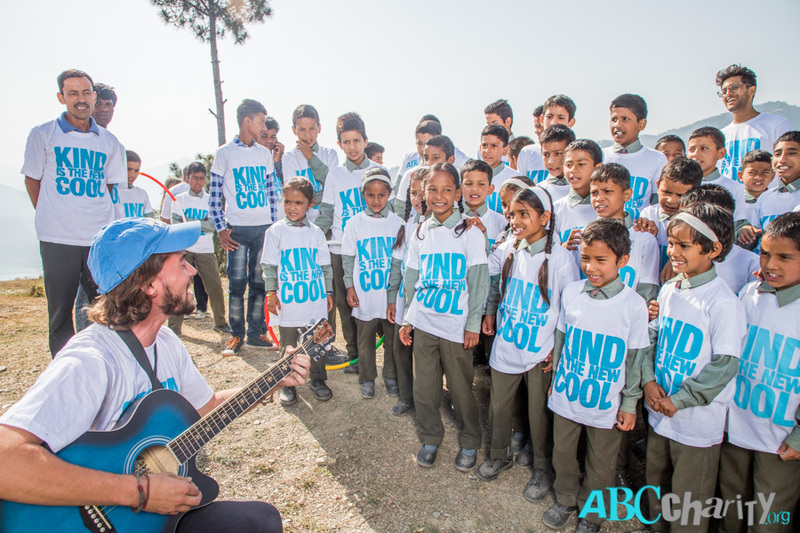 The kids then gathered around Marcus Alburez Myers’ guitar as the team chanted “what is the new cool?” And all the children answered screaming joyfully “KIND IS THE NEW COOL!” Looking like a character out of a movie, photographer Filip C Agoo paraded around the event with his Thule camera bag that had a flash strapped onto the side, making him a walking-talking mobile studio! 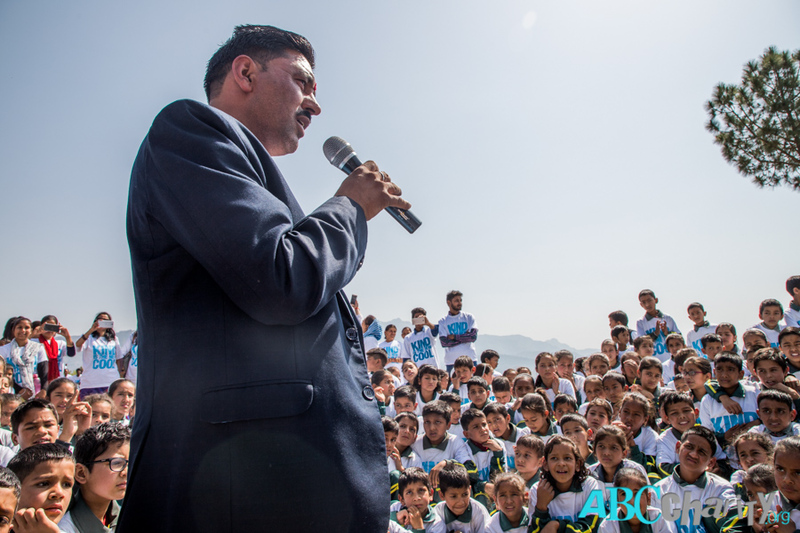 Both he, and our Local Ambassador, the Pradan (Sovereign) of the region gave a speech in English and Hindi on the importance of treating each other with respect, love and compassion. 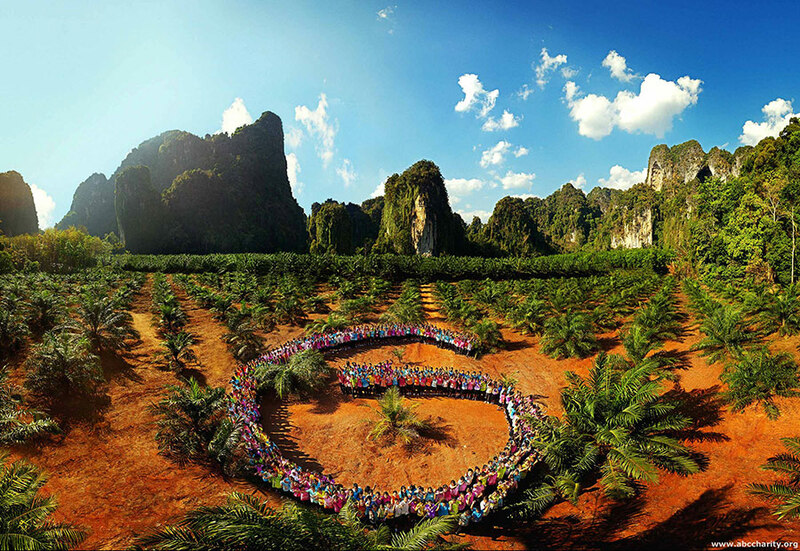 Fia Garvner Agoo then led the kids through a grounding yoga Asana and breathing sequence. 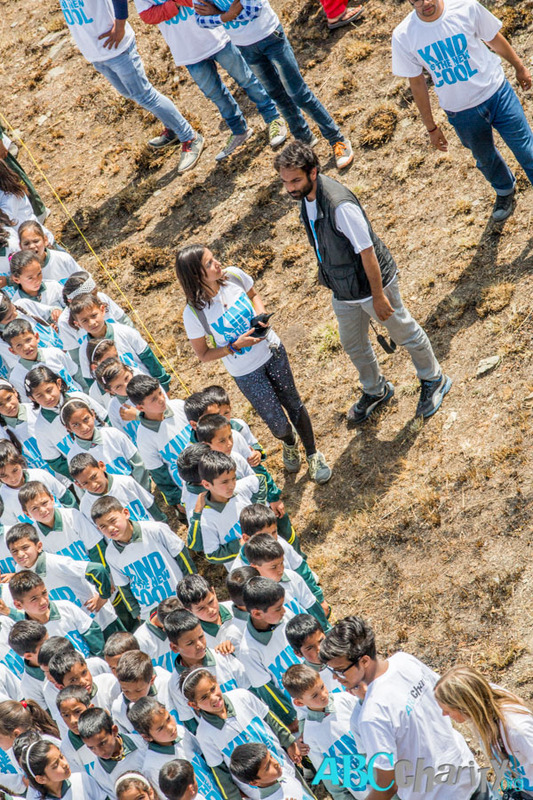 For a few moments, a resounding stillness was felt throughout the event, connecting everyone with the essence and power of the moment, teachers blown away by Fia’s ability to calm the kids down. 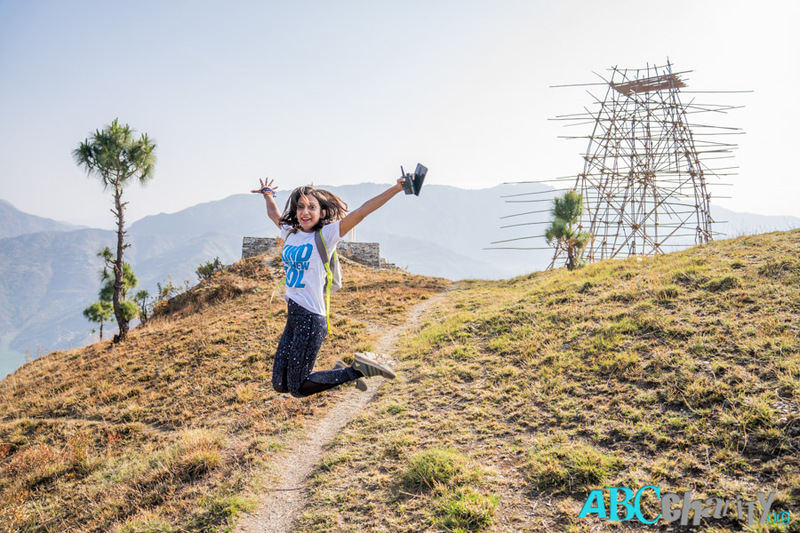 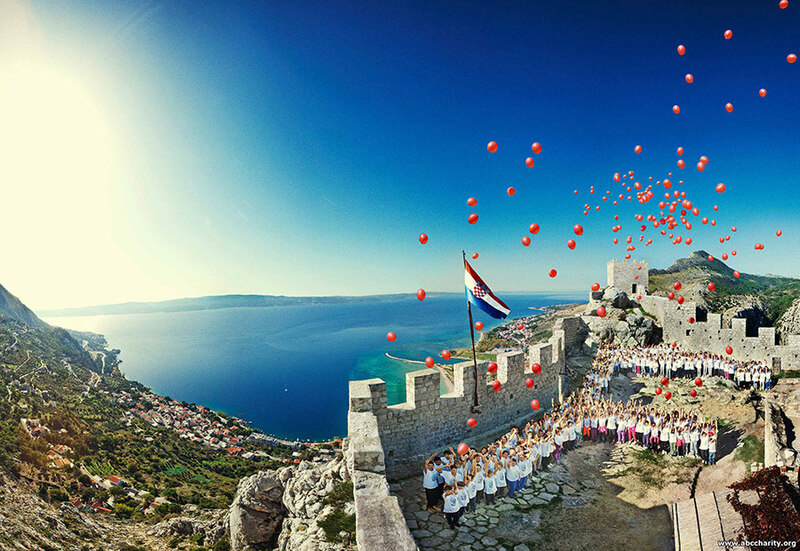 The kids then shifted to the staging area, at which point our team of videographers and photographers scaled the epic 60 foot tower we built and following a countdown – click! 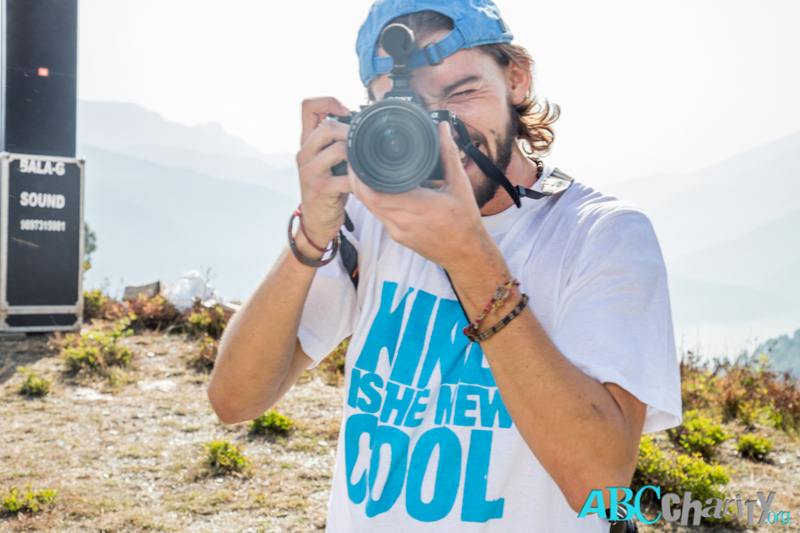 We got the shot! 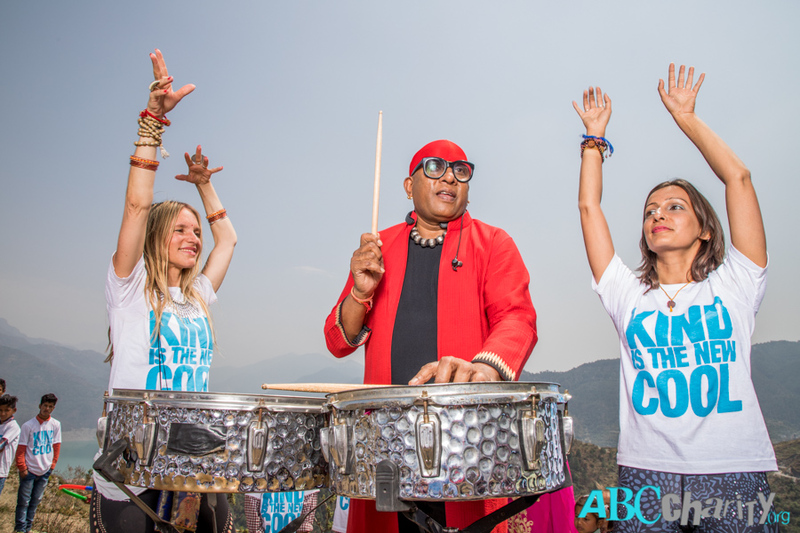 The kids then headed down the mountain, where they were greeted by world-renowned percussionist, Sivamani’s loud and rhythmic beats, an echo that caressed along the valleys of the mountains and the turquoise water of majestic Maa Ganga. 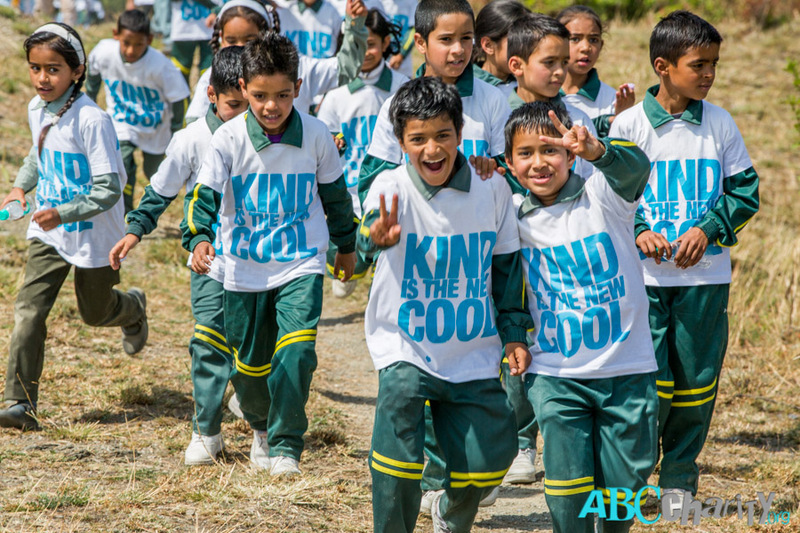 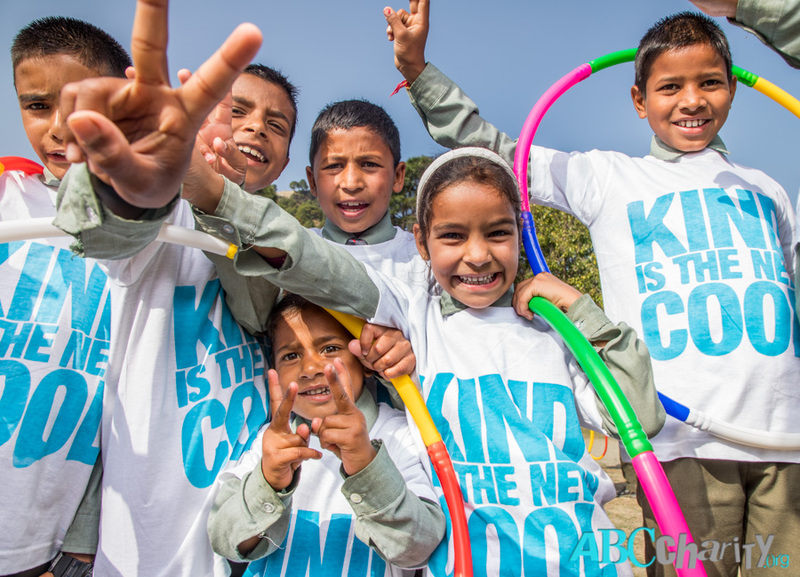 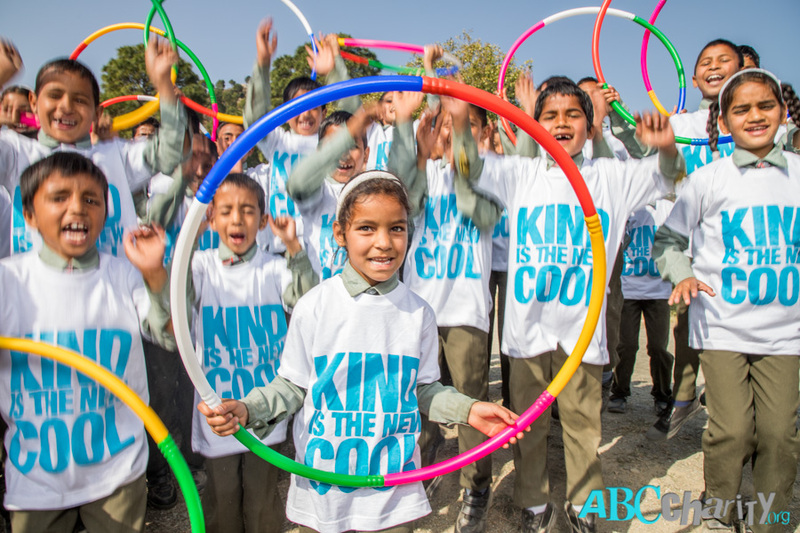 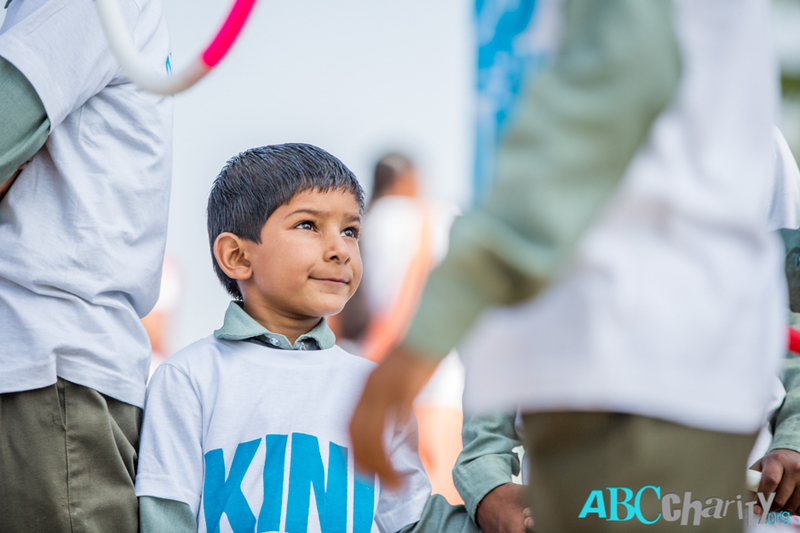 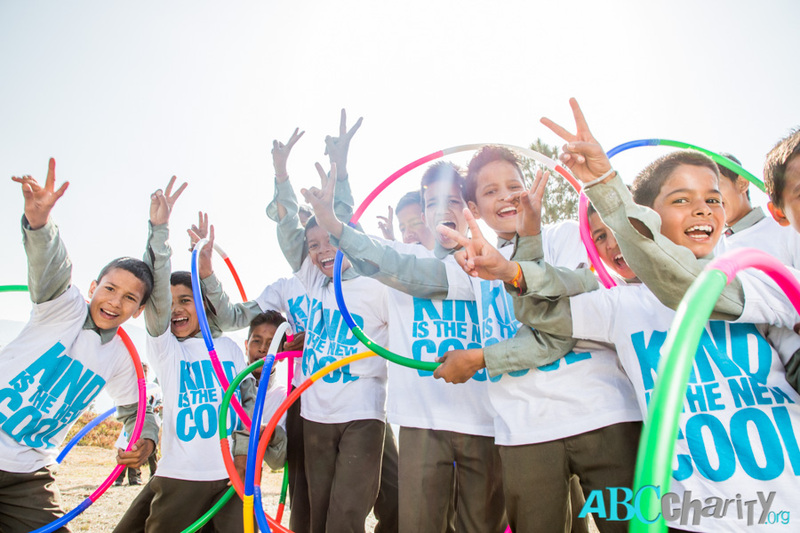 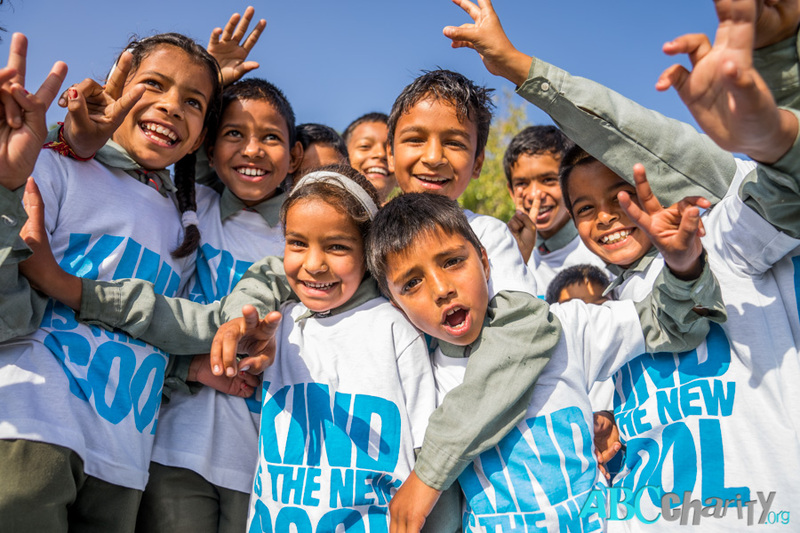 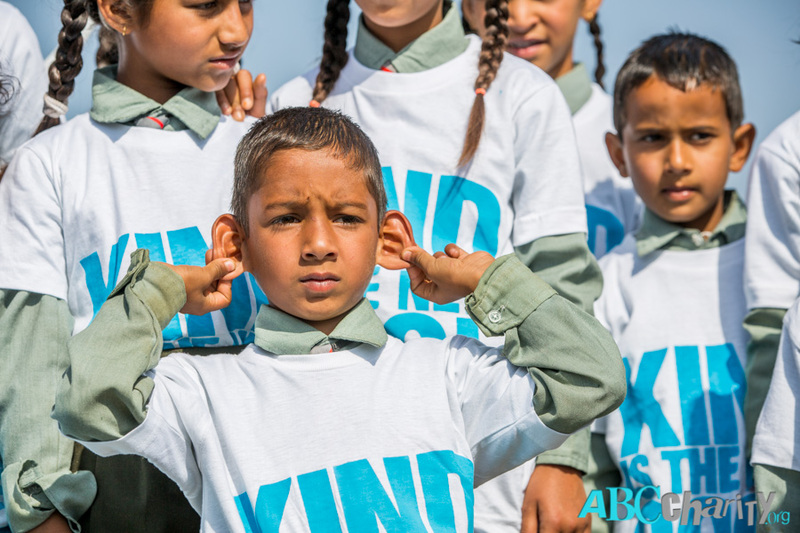 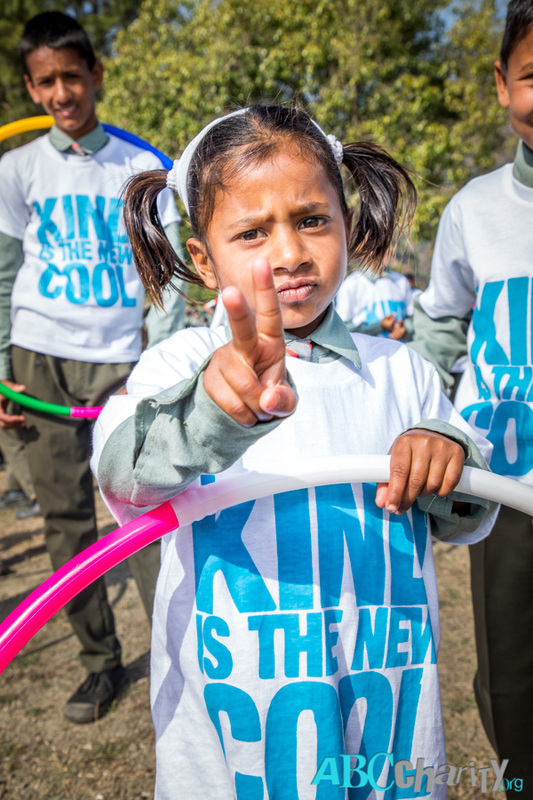 The day finally came to a closure and the kids returned to their homes chanting “Kind is the new cool!” And “ABC Charity!” Days after, the kids were still seen running around Jundasoo donning their brand-new shirts and singing their new mantra promoting kindness and compassion! 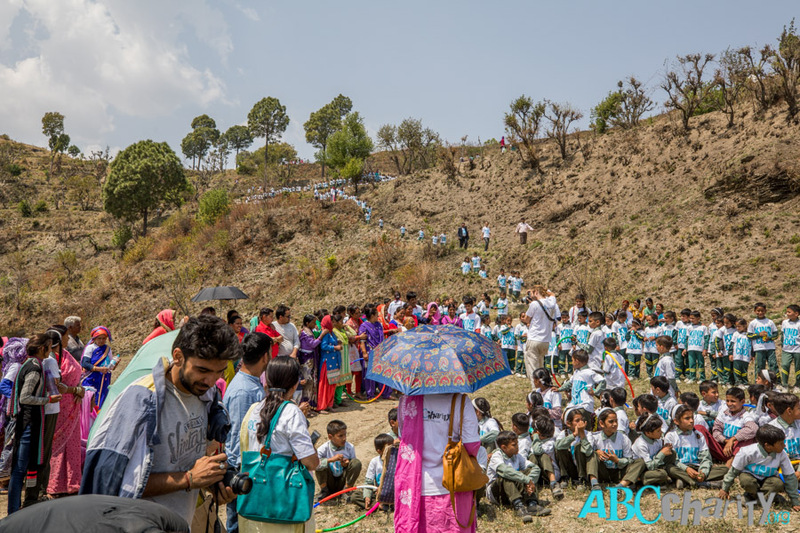 The local villagers said this was the most successful event the community had ever seen! 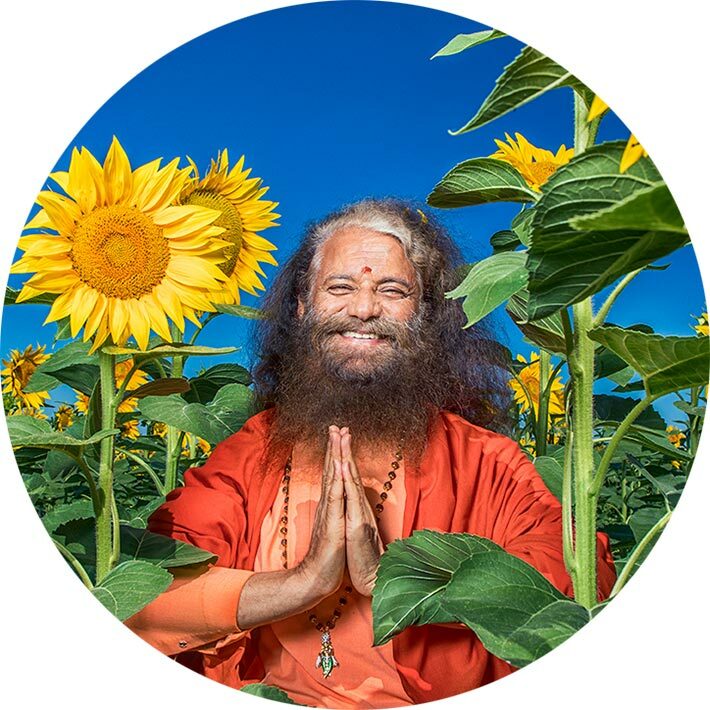 Pujya Swamiji is President and Spiritual Head of Parmarth Niketan Ashram, Rishikesh, India, one of the largest interfaith, spiritual institutions in India. 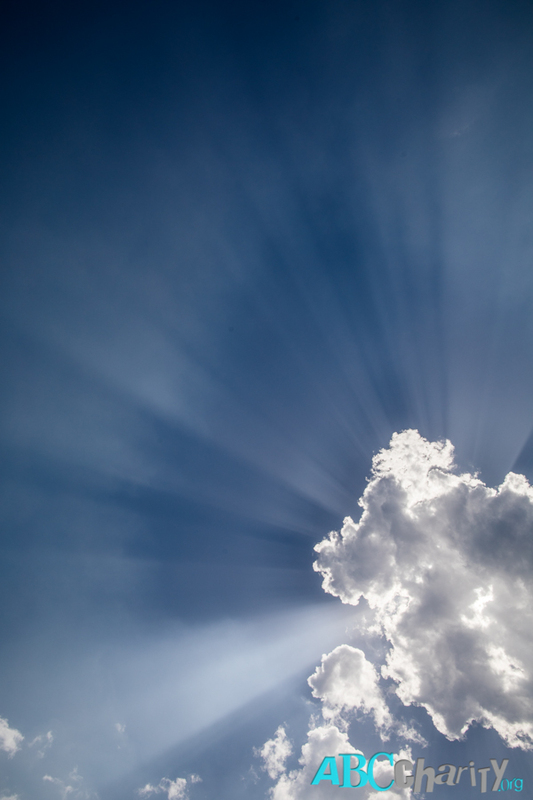 Under His divine inspiration and leadership, Parmarth Niketan has become a sanctuary known across the globe as one filled with grace, beauty, serenity and true divine bliss. 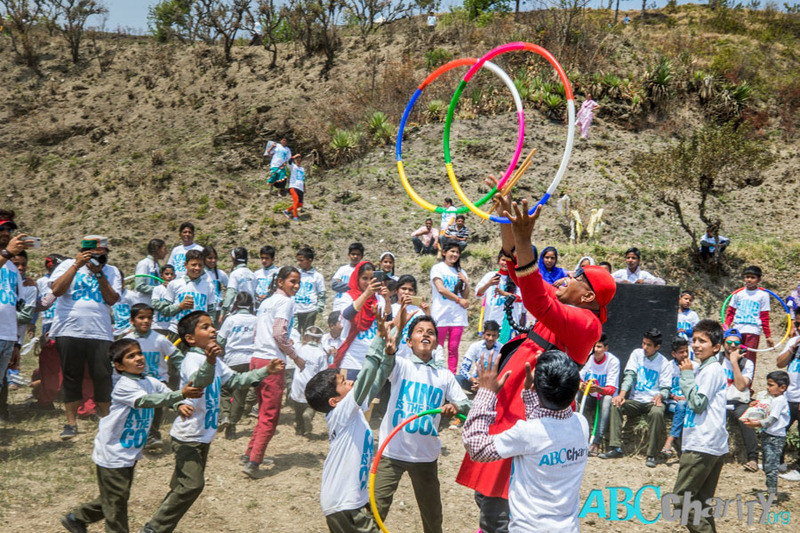 Pujya Swamiji has also increased several-fold the humanitarian activities undertaken by Parmarth Niketan. 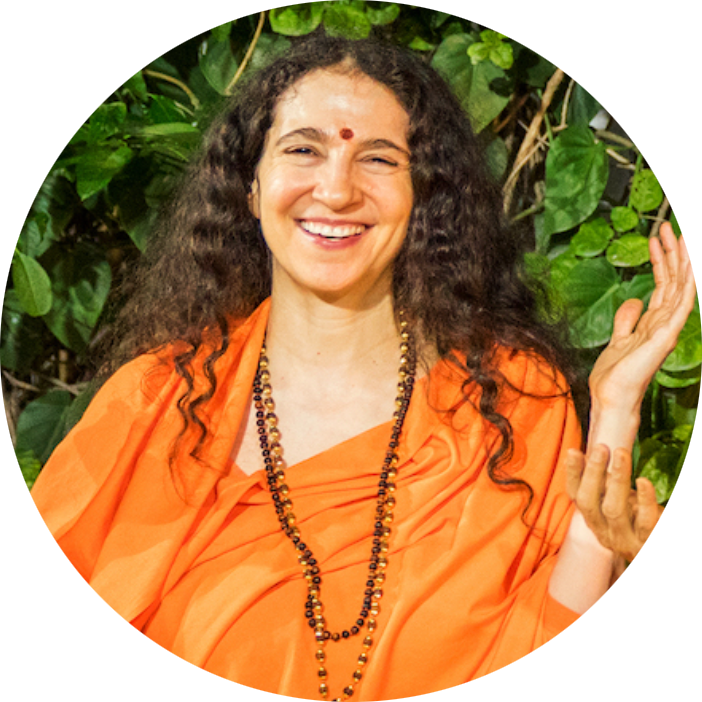 Sadhvi Bhagawati Saraswati, Ph.D, was raised in an American family in Hollywood, California and graduated from Stanford University. 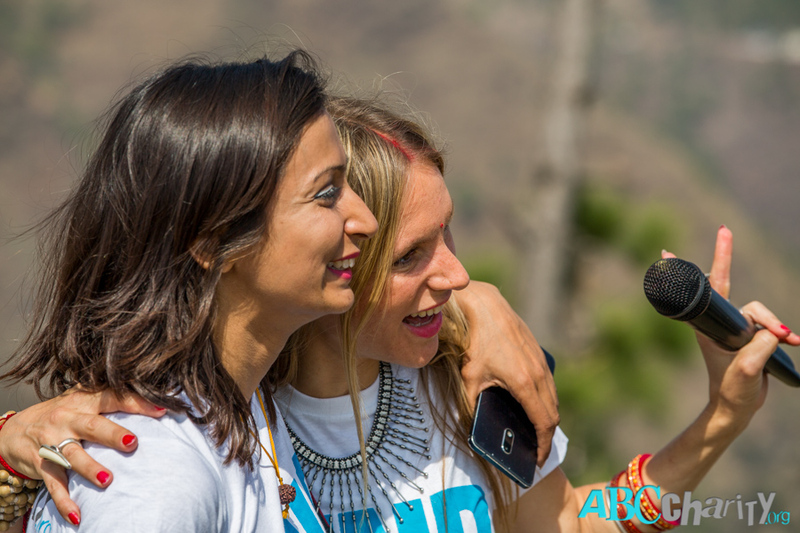 She was completing her Ph.D. when she left America in 1996 to live at Parmarth Niketan in Rishikesh, India. 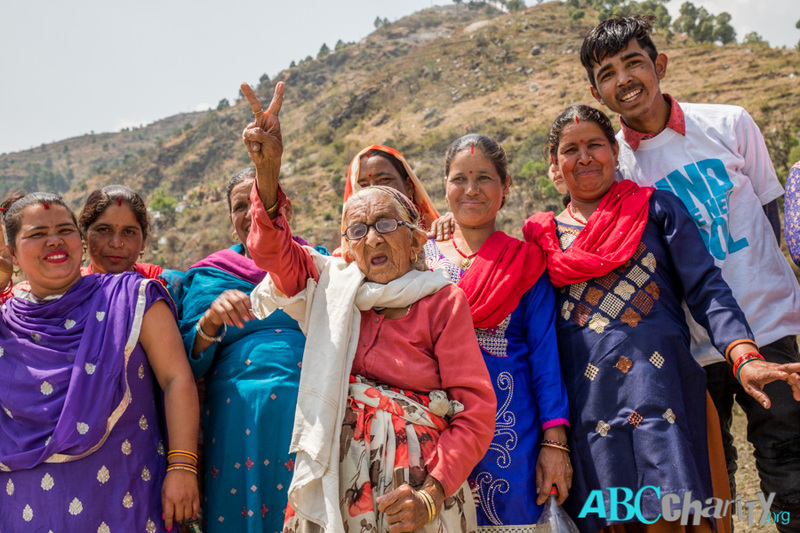 She has been living there for 22 years, and gives daily spiritual discourses and satsang, teaches meditation, provides counseling and oversees myriad charitable and humanitarian projects and activities. 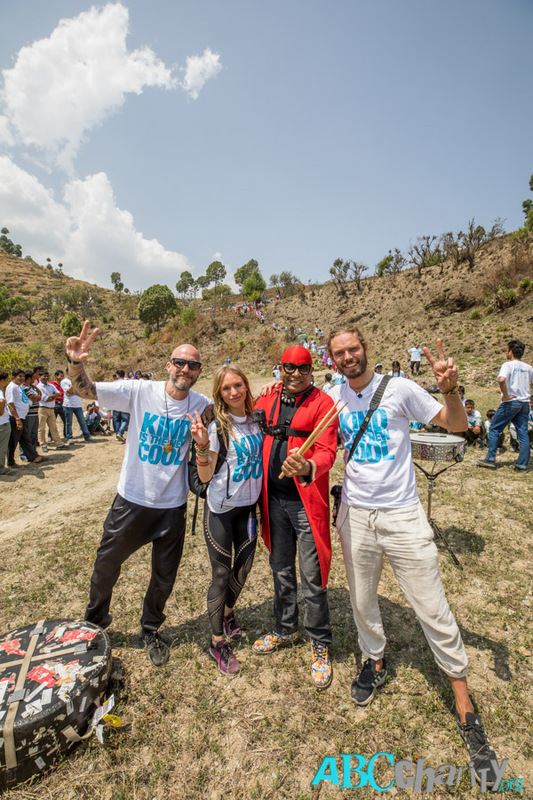 Anandan Sivamani is an Indian percussionist. 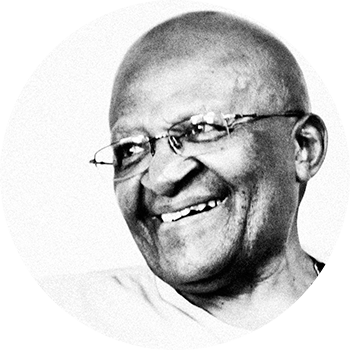 He plays many instruments including drums, octoban, darbuka, udukai, ghatam and kanjira. 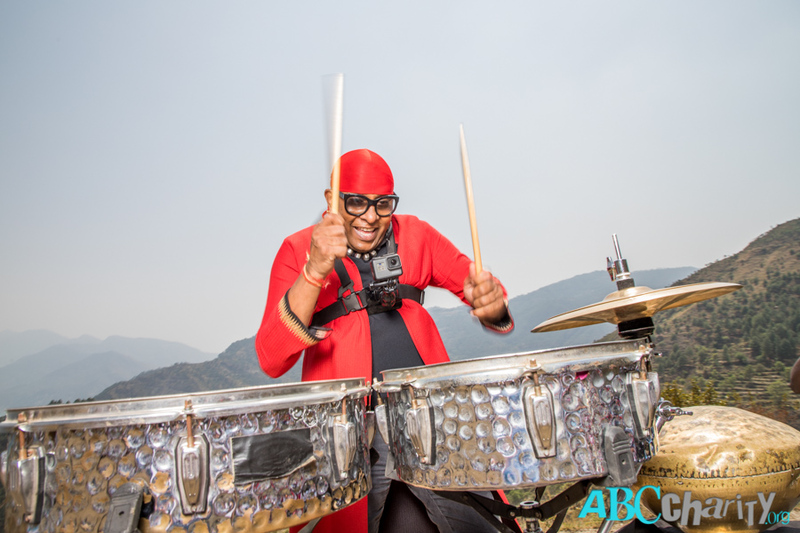 He performed drumming during the IPL Championships in 2008 and 2010. 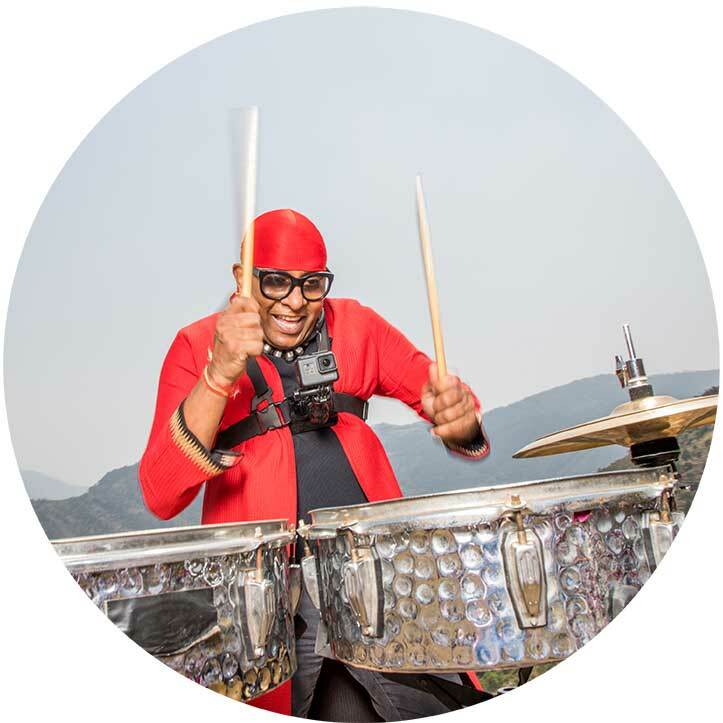 He is affiliated with the Chennai Super Kings team, but gained recognition through his role as A. R. Rahman‘s lead percussionist. 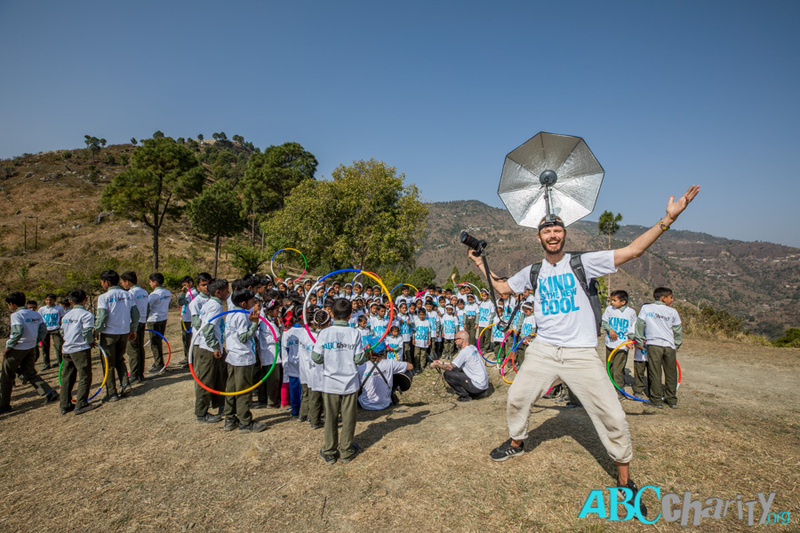 He is the fastest percussionists in the world and we were so blessed to have him join our event to play for the kids!